This is a picture-perfect spot for a quiet, enchanting vacation. You can rent an old English cottage for a week or two, curl up with a good book or go for walks on wildflower-lined country lanes. If you’d like some company, you can be sure that every place has its own country pub which serves up pints and fish and chips. 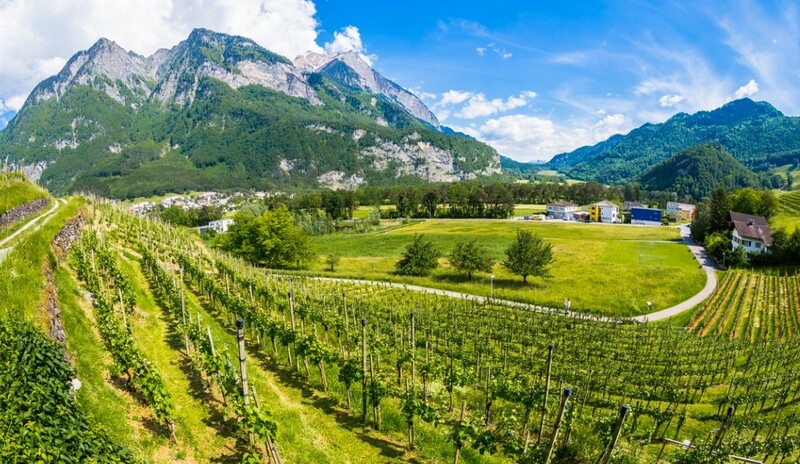 With the accolade of being the world’s sixth smallest country, Liechtenstein is also one of the least visited, but it’s not because it’s not beautiful—it’s landlocked by Switzerland and Austria and surrounded by the Alps! Its mainly German-speaking residents are welcoming to visitors, and it’s a lovely destination any time of year. The South Pacific is gaining popularity with Canadian travellers, but Tuvalu is still not as popular with the masses as some areas, and yet, it has miles of pristine beaches and turquoise waters. It’s a peaceful place with very little crime, no armed forces and locals who still make deals with handshakes. Tuvalu is actually a group of nine tiny islands. Your time will be well spent under the shade of a palm tree sipping your favourite cocktail with your toes in the sand. Instead of drowning in a sea of tourists in Barcelona, think about planning a visit to Granada. This city, in the south of Spain, is usually overlooked by foreign tourists. But you’ll still get the flavour of colourful markets and iconic architecture. It’s not called the land of a thousand castles for nothing. There are a number of affordable hotels and not to mention, the food is glorious. Argentina and Brazil’s less popular neighbour, Uruguay has a very sedate and relaxed capital city. Montevideo is replete with colonial architecture. It’s a very walkable city with beckoning beaches. And if you’re a wine connoisseur, Uruguay has quite the blossoming wine industry. Banff is gorgeous, but it attracts tourists by the droves. If you cross the Alberta border into British Columbia, Yoho National Park is also spectacular. You’ll still get the jaw-dropping beauty, but without busloads of tourists. You can also play here by taking a hike in warmer weather or snowshoeing in the winter. You might want to peacefully kayak on Emerald Lake (yes, the water is befitting of its name).